Ever wonder why Dorothy kept saying “there’s no place like home?” Seems not even the Emerald City or the land of Oz could compare with her homestead back in Kansas. Dorothy, Auntie Em, and Uncle Henry made living off the land look easy. With more people trying to get back to self-sufficient living, they’re learning homesteading can have some surprises. 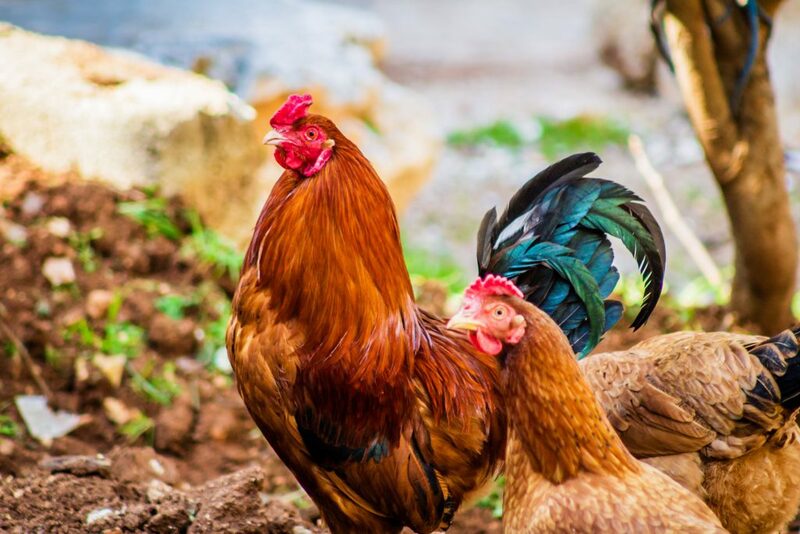 Here are five things to know before you decide to start homesteading. If you’ve spent your life living off the land, you’re in good shape. But if you’re new to this lifestyle and have never set foot on a farm before, you’ve got a little bit of research to do. The new trend of living off the grid had spawned a wide range of how-to books. We encourage you to read and take the advice from those who’ve gone before you and learn from their mistakes. And don’t forget to check out blogs and online articles that feature new innovations that may make your homestead more fruitful. Moving to a homestead is both exciting and somewhat intimidating. Most people are eager to get to work on the land and watch things grow. But remember, a working farm takes time to cultivate. There will be trials and errors and even a few total failures along the way. Learning what you did wrong, along with the characteristics of your specific land, is an integral part of homesteading. You may have the end goal of being able to feed your family only from the products of your property, but understand that it may take years to get to that point. Good fences make good neighbors and good farms. Animals need to be corralled, and predators need to be kept out. Fencing may not seem like a big deal when you’re touring properties, and it can be costly to install a new one. Look for those real estate listings that mention fencing and double fencing so that you won’t incur that extra cost after you buy. A homestead doesn’t have to be large, it just has to be practical. That means using your land to its fullest potential. The same is true on larger pieces of land. Making your land work for you, instead of you working for it, is an essential part of homesteading. Planting a rain garden in a wet portion of the property will help utilize the space that would otherwise sit bare. Stake out the lawn and only mow the lawn where you and your family actually use and enjoy. Changing grass to pasture or a garden is an excellent way to cut down on mowing time and take advantage of every bit of your property. We also should remind new homesteaders that the area of your land isn’t all horizontal. The ultimate homesteaders understand that the vertical space above their land is also quite useful. Vertical gardens are a natural addition, and you can create layers of growth in a small amount of space. A large amount of food can grow from trellises that help make every inch of land productive. Being self-sufficient doesn’t mean working alone. There’s a reason co-op farming is so popular. Homesteaders who develop good relationships with their neighbors are more successful. Good neighbors watch out for each other and lend a helping hand when necessary. You will also have some crops that excel and some that fail. Trading your surplus eggs for your neighbors’ excess tomatoes may help get you past the tough years. There’s no need to grow everything if the community can work out a barter system. Starting a homestead is one of the most rewarding ways to provide for your family. Not only will you learn about the land but you’ll also have quality time with the family as you work together towards food independence. It is a lot of work, but homesteading is a meaningful way to make sure you can provide for your family no matter what happens. This entry was posted in Homesteading Tips, Prepping on April 4, 2019 by Survival Frog. Knowing who to trust after SHTF will be difficult which is why learning how to detect lies is such a valuable skill. Not only can this save you from falling prey to deception, but it can also help you make better decisions on who to partner with during a crisis. As you’ll read below, many of the widely accepted signs that someone is lying aren’t actually true themselves. By learning how to really tell if someone is lying to you, you’ll increase your chances of survival and gain a skill that can save you from becoming a victim. Getting better at detecting lies starts with forgetting a lot of what you already know about lying tells. For example, you’ve probably heard someone ask a suspected liar to look them in the eyes before speaking. The idea here is only honest people can maintain direct eye contact whereas a liar will falter if they try to do the same. In reality, studies have shown that truth tellers will make eye contact only 60% of the time. Not only that, but liars actually tend to make more eye contact during conversations because they want to see if you believe what they’re saying. Another stereotype is that liars are fidgety and nervous, but again, the opposite is more likely to be true. Just like prey will sometimes freeze when they sense a predator nearby, liars like to keep their bodies still in order to remain undetected. Plus, some people are naturally nervous in tense or awkward situations, so that in and of itself is no indicator of whether they’re telling the truth. But all this doesn’t mean that someone’s eyes can’t give them away as an increased blink rate is often consistent with telling lies. Honest people blink about 6-8 times per minute on average. When someone knows they’re lying, they may blink 6-8 times in rapid succession. In addition to blinking, here are some other tells to help you detect when someone is lying. 1 – See if their palms are facing up. People who lie tend to speak with their palms facing up as if they were supplicating themselves and asking you to believe them. 2 – Liars will often give elaborate answers to simple questions or repeat questions back to stall for time. 3 – Face touching. There is a chemical reaction that causes people’s faces to itch when they lie. Former Green Beret Sergeant Major Karl Erickson developed a simple method he used to sniff out liars while he served in the military. If at all possible, you want to get some background information on the person you’ll be speaking with. Erickson suggests going to their social media to find some basic information that you know they won’t lie about like where they went to school. The next step involves using the information you gathered in step one to establish the other person’s baseline. Basically, you want to ask a series of easy questions so that you can observe how the person reacts when they tell the truth. For example, if you know for a fact that they recently went on vacation, you can ask about that. Once you’ve got your baseline, it’s time to start asking more serious questions. Again, you want to pay close attention to how the other person reacts to see if there’s any change in their behavior. Now that you’ve shifted gears in the conversation, you need to try asking the same question multiple times in different ways. The key here is that you aren’t really looking for slip-ups. What you actually want to see is if the person uses the same phrasing over and over again like it was something they rehearsed. Similarly, you want to note the speed of their response. If you ask a question and they can immediately provide an answer without thinking, that’s a sign that they’re lying or not revealing the whole story. This method relies heavily on observational skills which is why Erickson suggests having one other person in the room with you who is also observing the suspect. It’s possible that they can pick up on certain cues you missed. In the video below, you’ll learn 7 magic words that can help spot liars in everyday life. Honesty is a virtue, but ability to lie effectively is a key survival trait for humans in social situations. 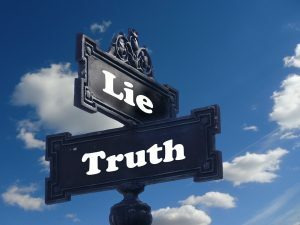 When SHTF, your life and the lives of your loved ones may in fact depend on your ability to deceive others and hide the truth. Here are a few tips to help make sure your lies are believable. Tell the Truth – One of the best ways to lie is by telling the truth misleadingly. For example, let’s say disaster strikes and one of your unprepared neighbors asks if you have any food supplies in your house. Instead of saying yes or no, you can tell the truth and let them know you don’t have any extra food available. Keep Your Lies Simple – As mentioned, liars tend to be elaborate and offer unnecessary details when they lie to compensate. Keep your lies short, simple, and to the point. Admit to Something Else – Similar to the first tip, confessing to something else can help throw people off of your tracks. This entry was posted in Emergency Survival and tagged lie detector on May 24, 2018 by Survival Frog. If you’re looking for a sustainable way to stockpile fresh fruits and vegetables without spending tons of cash, then consider building a DIY greenhouse. 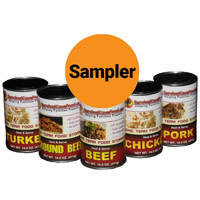 Don’t get me wrong; I think every prepper should have canned and freeze-dried food supplies available for short-term emergencies. 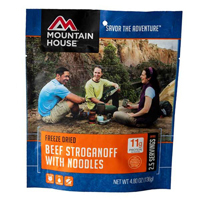 But you’ll need a reliable food source to turn to when these supplies run low, and having access to a garden will be invaluable after SHTF. In the past, I’ve talked about using hydroponics to create an indoor survival garden. Today, I’ll show you how to build a cost-effective, DIY greenhouse that can supply you and your family with food year after year. Building a greenhouse gives you more control over the environment your plants grow in no matter what the weather is outside. Most greenhouses are created to keep heat in, but you can also add a cooling mechanism to keep the temperature inside low. This added environmental control means you can extend your growing season, grow crops that may not usually thrive in your area, and keep harmful pests away from your plants. One of the biggest downsides to building a greenhouse has been the expense that comes with it. Luckily, there are plenty of cheap DIY greenhouse plans available that walk you through the building process step-by-step. 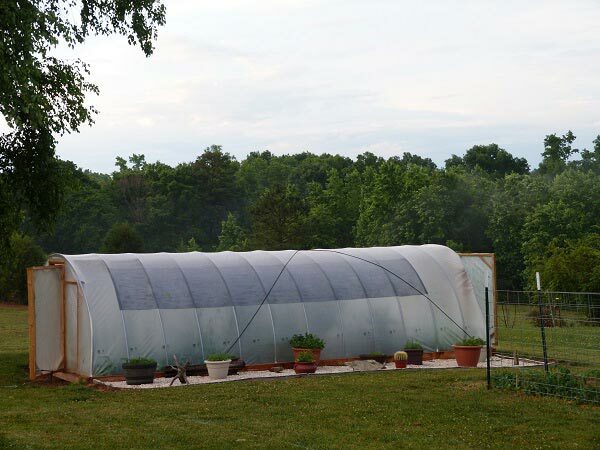 The author of this tutorial was able to build a 165-square ft. hoop house greenhouse for only $50. Thrifty preppers can probably replicate this project for the same costs, but if you were to buy brand new materials, the price would come to around $200. Still, that’s a small price to pay to reap all the benefits that come from having your own greenhouse. If you’re still skeptical, here’s a video showing how one man built the same type of greenhouse on his own for about a hundred bucks. 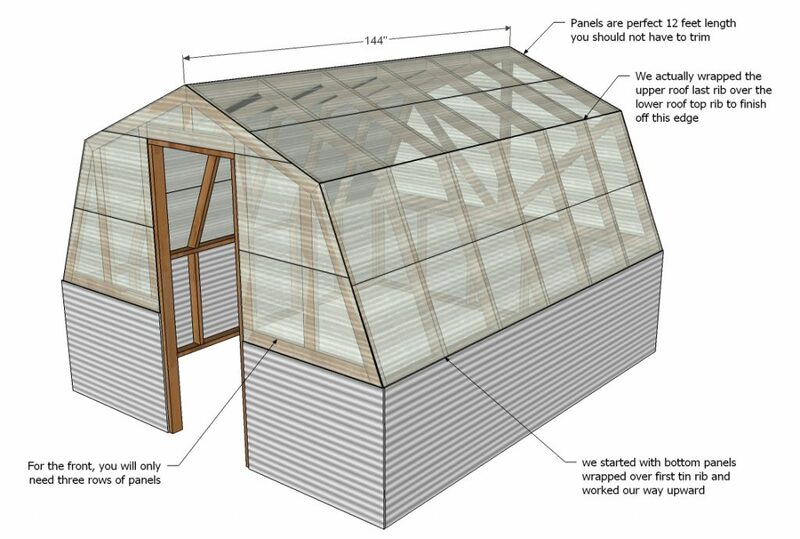 This barn style DIY greenhouse would be a bit more expensive than the previous one, but still relatively cheap. 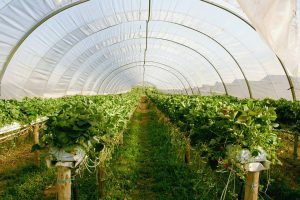 The trade-off is that this greenhouse is sturdier that the hoop house style, which may make it a more cost-effective option depending on where you live. 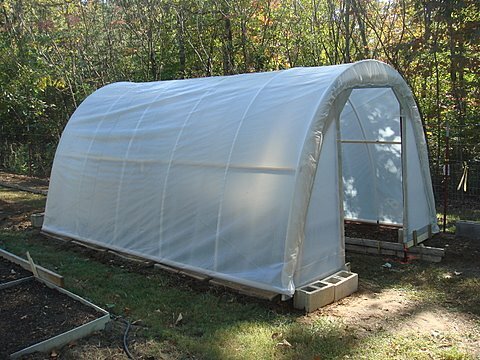 If you have enough space and want to make sure your DIY greenhouse can produce enough food for the entire family, then this tutorial for building a 300-square ft. hoop house is perfect for you. Not only does this greenhouse design offer tons of growing space, but it still only cost $500 to build. Plus, this tutorial is packed with tips on selecting the best spot to build your greenhouse and how to prep the soil. Anything you can do to improve the quality of the soil in your garden will reap benefits down the line. Making and using compost is great because it can help feed the plants in your garden using material that would otherwise be thrown away. Plus, when applied as mulch, compost can help to keep your garden free of weeds while heating up your DIY greenhouse without electricity. You see, compost piles produce heat as the organic material within them breaks down. As a result, weeds have a hard time growing through a 1 or 2-inch layer of compost. 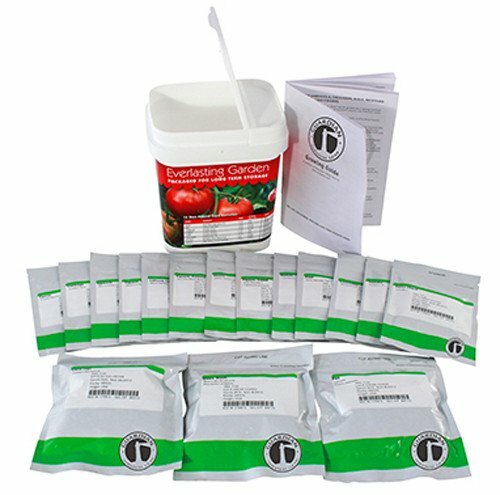 Below is a video on making high-quality compost without attracting a lot of insects and pests to your property. In addition to a greenhouse, you’re also going to need some seeds to get your survival garden started. The Everlasting Garden Bucket is a lot different than the seeds you can buy at your local hardware store. The seeds in this emergency pack are non-hybrid and non-GMO. They’re made specifically for survival and are never exposed to any chemicals. Plus, all the seeds are packed in a re-sealable packet that can store for 4 years at 70 degrees and much longer in cooler conditions. This entry was posted in DIY Projects and tagged gardening, survival gardening on May 22, 2018 by Survival Frog. You’re probably heard about life hacks, but did you know there are leaf hacks for survival too? 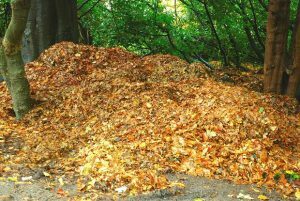 Sure, fallen leaves can be a little annoying when you have to rake them up from your yard, but they can also make your life much, much easier in a survival situation. When SHTF, people will probably be spending a lot more time on their feet than normal. Instead of spending hours in a car or sitting at a desk, your survival will require hiking, patrolling, hunting, and more. Luckily, you can help relieve some of the strain on your feet using natural leaf insoles. 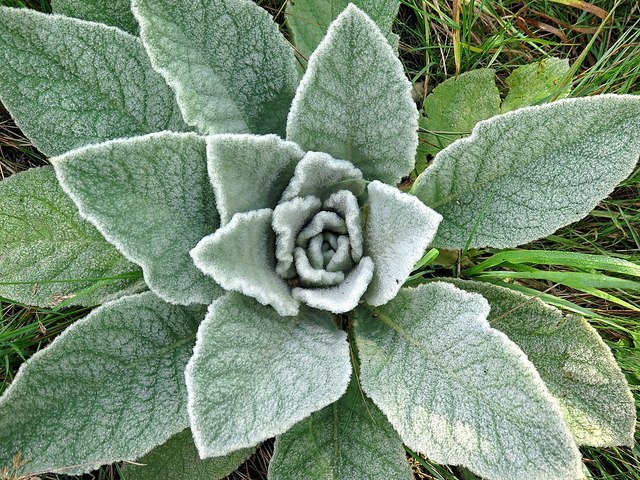 The leaves of the mullein plant can provide some extra cushion and help prevent blisters when placed flat inside of your shoe. Not only are the leaves soft and absorbent, but they’re also antibacterial. In a crisis, you can also use mullein leaves as a substitute for toilet paper and napkins. Leaves are a good insulating material that can help keep you warm when bugging out. You can also use a pile of leaves as padding underneath your sleeping bag to make spending the night on the ground a little more comfortable. 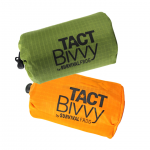 In fact, that’s exactly what we recommend people do when using one of our Tact Bivvy Emergency Sleeping Bags. Basswood leaves make excellent improvised plates if you find yourself stuck in the wilderness. Sure, having a plate to use isn’t as important as finding food, but having a clean surface to eat off of shouldn’t go unappreciated. Before you sit down to eat, use burdock leaves to help cook your dinner over a fire. Simply wrap your meal in a few layers of burdock leaves the same way you’d wrap food in tin foil before cooking. Like with regular tin foil, the burdock leaves help to keep food juicy during the cooking process. If you don’t want to cook with leaves, you can also just eat them. 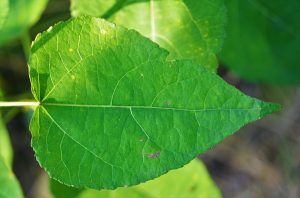 You do have to be careful to make sure you only eat leaves that are safe for human consumption, but there are plenty of wild plant leaves that meet that criteria. Edible leaves can be eaten raw or cooked and can even be used to brew tea. Fibrous leaves can be used to create cordage in an emergency. This natural rope can then be used to help you set up a shelter or catch animals in traps. The plantain herb has natural anti-inflammatory and antibacterial properties that you can use as a remedy for small cuts and scrapes. All you have to do is chew up one of the leaves, spread it on the wounded area, and then use another leaf as a bandage to hold everything in place. Finding suitable shelter is a top priority in a survival situation, and leaves can work as a replacement for expensive construction materials. Large, durable leaves can be used as shingles for a lean-to and offer protection from the elements. 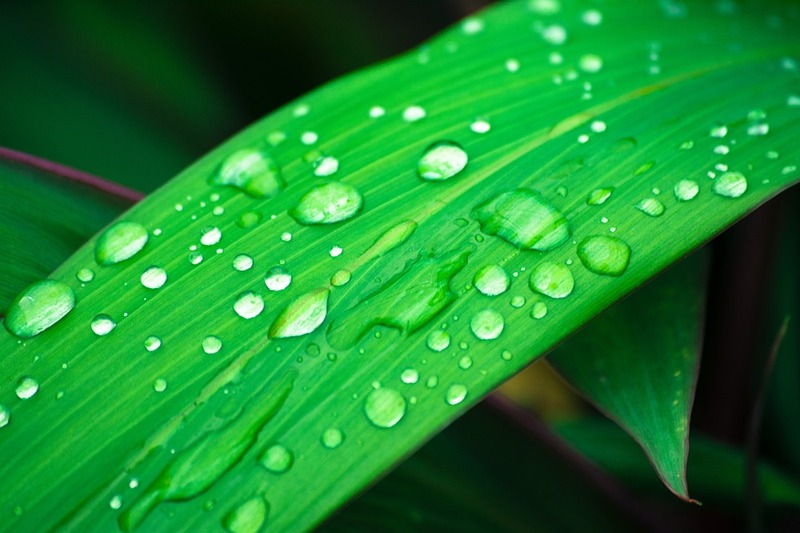 I’ve written a blog post on all the equipment you’d normally need to harvest rainwater, but leaves are a great way to collect rainwater in an emergency. Dry leaves work well as tinder if you find yourself in a situation where other fire making materials are scarce. This entry was posted in Bushcraft, Survival Hacks and tagged survival hacks on May 13, 2018 by Survival Frog. 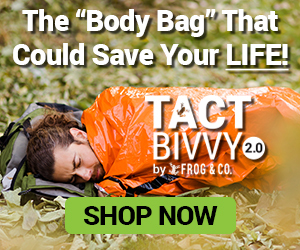 It sounds hard to believe, but you can find some life-saving survival gear in the dumpster when SHTF. People throw away all sorts of stuff. Old clothes that don’t fit anymore, cooking equipment, and old tools are just some of the things you can find. 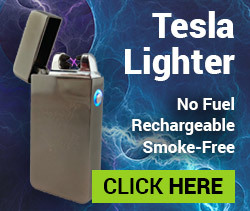 The stuff we think of as trash in everyday life can be made into amazing tools when SHTF. Here are just a few of these “junk” items that you’ll want to go dumpster diving for, or hang onto, when SHTF. It might not seem like it, but aluminum foil isn’t just junk…it’s a useful survival tool when SHTF. You can change the shape of foil into anything you want. It’s especially helpful at mealtime where you can use it to make cups, bowls, and plates. Aluminum foil can even be used to cook food without fire. Foil reflects light, which gives it some pretty cool solar uses. One of these uses is to build a solar oven. Tilt each panel of the foil so the sun’s rays are focused in the center. 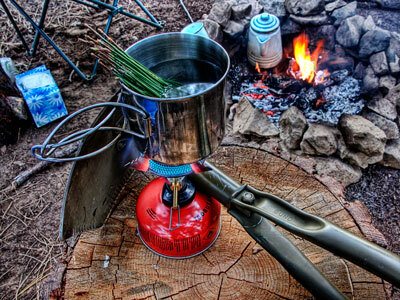 This will allow you to cook food even if you don’t have the luxury of a fire. Of course, aluminum foil found in the trash is going to be dirty, so you’ll need to clean it off first. Trash bags are a versatile survival tool when you know how to use them. And luckily, they’re extremely common and mass produced, so there won’t be a shortage of trash bags any time soon. The uses for trash bags are limitless. Here’s just a few of the most common uses. Trash bags can be used as a makeshift water bladder, so you can bring water reserves back to camp. You can use them to carry pretty much anything. Water, food, or any extra supplies you need to gather. Trash bags can be worn as clothes for protection against the elements. Wear one like a poncho to avoid getting rained on or wear one as a shield to protect against sun burns. Trash bags can also be used to make cordage. Twist and weave the trash bag to create surprisingly strong home-made rope. Aluminum and tin cans are good for some of the same things as aluminum foil, but they aren’t as flexible, which limits their usefulness somewhat. The obvious use for cans is that they can be used to store liquids. This makes them convenient cooking tools. Take the top off a can and you can use it as a small cooking pot or a stove. You can also make a can into a makeshift shovel, an alarm system when strung together with other cans, and the tabs can be used as fishing lures. A can also works as a self-defense weapon in a pinch. Pull the top off a can and the sharp edges of the top can be used as a jagged knife. While trash cans aren’t as versatile as the other items on this list, they’re still worth scavenging for. Trash cans are usually fairly durable and make good water containers. Having the ability to store large amounts of water is important because you never know when you’ll get another large supply. You can also use them as pots to grow edible plants. This is especially useful during winter because you can bring your plants indoors to protect them from the cold. They can also be used to make small animal traps. Catch small animals like squirrels and rabbits to add much needed protein to your diet. There’s so much more that can be found in dumpsters than just these items, but this should give you an idea of where to start. You’d be amazed by what people throw away. It’s true what they say: One man’s trash is another man’s treasure. Go searching sometime and see what cool stuff you find! Let us know in the comments below what amazing stuff you’ve found on the side of the road or in dumpsters. This entry was posted in DIY Survival, Uncategorized and tagged dumpster, garbage, repurposed, survival tools, trash on January 3, 2018 by Survival Frog. Let’s face it. Prepping isn’t cheap. It takes willpower, discipline, brains, and money. Even though you’ll have to spend some money, there are ways to save money and prep without much money. If you’re already strapped for cash or just want to save a little more, here are 18 ways to save money for prepping. Soda isn’t just bad for your body, it’s also expensive. It might not seem like a big expense individually, but you’d be surprised how much you spend on soda in a year. Drink tap or filtered water instead. The price of bottled water these days is outrageous, but many people continue buying it either for convenience, because they think it’s in the purest form, or because they don’t like the taste of tap water. A lot of people don’t like the taste of tap water. After all, the pipes used in our water system are decades old, not to mention all the chemicals that get dumped in the water. Get a BPA-free water bottle and buy a Big Berkey. It’s a bit of an investment, but it’ll pay for itself in less than a year if you’re someone who buys a lot of bottled water. And it makes filtered water just as pure as the bottled stuff. When you visit the store, you have the choice of buying pre-cut food or whole food. The pre-cut food is marked up for the convenience of having it done for you. For example, packs of fruits and vegetables that come pre-cut are more expensive than buying those fruits and veggies whole and cutting them yourself. This also applies to meat. Instead of buying parts of a chicken, you could save money by buying the whole chicken and cutting it yourself. Ammo is expensive these days, and it’s only going to get more expensive as more and more gun laws are enacted by the government. The good news is you don’t have to pay full price for your ammo. If you hunt or target practice, you can save money by reloading your own ammo. Reloading ammo is when you assemble the individual components of shells or bullets yourself instead of buying them pre-made. Since the manufacturer doesn’t have to assemble them, the savings are passed on to you. Plus, you can re-use the casings after you fire them which will save you even more money. Doing laundry isn’t just time consuming, it can be expensive too. Especially if you go to a laundromat or live in an apartment with machines that take quarters. Even if you own your own washer and dryer, they still consume a lot of electricity. For the washer, try using a lower temperature setting. Hot water breaks up gunk on your clothes better, but depending on the quality of detergent you use and how dirty your clothes are, it shouldn’t make too much of a difference. As for the dryer…well, why use a dryer at all? Use a good old-fashioned clothes line. You can get a clothes drying rack really cheap or just tie some twine between two trees. Your clothes will get wrinkly using a clothes line, so you can still use a dryer for your formal wear. A lot of food goes to waste in the U.S. You pay good money for your food, so why let it go to waste? Eliminating food waste will help lower your grocery bill. Part of being a prepper is knowing how to rotate food before it goes bad. Put the fresh food in storage or the freezer and eat the old food before it goes bad. Brand name products are usually placed at eye level in the stores. You’ll find cheaper alternatives by looking above or below them. These generic brand products are much cheaper and are usually pretty comparable in quality. Stores reward shoppers who buy products in bulk. When you buy in bulk, the total price tag is higher, but the price per unit is lower. The result is you save more money overall. Of course, the catch is that you have to actually use it all to get the full value. So make sure to buy the right item in bulk that you know you’ll use. If you buy food in bulk but let it go bad, then you’re obviously just wasting money. Your bills aren’t necessarily set in stone. Sometimes it’s possible to negotiate lower rates. This works best when the company sending the bill fears that you’ll either cancel your subscription or simply won’t pay at all in the case of credit cards. Call the company sending the bill and tell (don’t ask) them you want your bill lowered and that you’re thinking about switching to another company. If you’re firm and luck is on your side, you could walk away with a reduced bill. This can also work with property taxes. If your house is appraised at a higher value than what you paid, you could get your property tax lowered. Ask your neighbors and anyone else in your area what they pay. Then contact your local government office and tell them you want your house re-appraised. Food in the grocery store is expensive, but food you catch in the wild only costs a permit from the DNR. Just one deer can provide meat for a few months. Skin and cut it yourself and you won’t have to pay processing fees. There’s no need to pay inflated prices for everything. Trading goods with other people is free and can land you some great gear. It’s said that one man’s trash is another man’s treasure, so you never know what you’ll be able to find. Your bill at a restaurant isn’t really for the food; it’s for the service. Throw a 15% or more tip into the mix and you just blew $20 on a $5 meal. Going out to eat is a nice treat, and I’m not telling you to stop doing it altogether. But if you find yourself going out multiple times a week, that can really add up and you’ll benefit from learning a few new recipes and cooking at home. If you’re in debt with a credit card company, your #1 priority is to get out as soon as possible. Money spent on paying off interest is wasted money. Some credit cards offer grace periods where they don’t charge interest if you switch your balance to them. This could save you a lot of money and help you get out of debt faster. Don’t take my word for it, though. Read the fine print for each credit card offer before committing. You can find a lot of useful stuff at local yard sales. There’s usually a lot of baby and kid’s clothes, so if you have a young family, it’s definitely worth checking out yard sales. You can also find used hand tools and power tools for much cheaper than you’ll find in stores. Craigslist has an entire section devoted to free stuff. It’s amazing what you can find on there that people are giving away for free. Instead of buying something new, why not try to fix the old? Fixing things rather than replacing them will save you the cost of buying something new or paying a repairman. It’s getting tougher to fix your own car because of all the advanced electronic components in them these days, but if you’ve got an older car, you can save a lot of money by fixing it yourself. You don’t need to know everything. Just look up your specific problem online and chances are you can do it yourself. The average cost of a men’s haircut is $28 and for women it’s $43. You can get a complete hair cutting kit for around $50, and it’ll pay for itself within two uses. People pay premium prices for organic fruits and veggies at the grocery store, but you can have all you can eat for pennies on the dollar! It takes work in the beginning, but once you get your garden going, it gets easier to maintain. First, determine where you want your garden. Then remove the sod and break up the soil with a metal rake, removing any large rocks. Then dig little holes in a line about one inch deep, gently bury your seeds, cover with soil, and water. This entry was posted in Homesteading Tips, Uncategorized and tagged finance, money, tips on January 2, 2018 by Survival Frog. Body armor is used by police, soldiers, and other armed personnel to protect them in dangerous situations…but can preppers use it too? Body armor is something that doesn’t usually get brought up when discussing survival gear, but it’s something that could save your life when society collapses and people turn on each other. Before we dive into this, keep in mind that your state and local laws might regulate how you can use body armor as a civilian and might even outlaw it outright. Body armor is sometimes called bulletproof armor. However, that name is somewhat misleading because it’s not actually bulletproof. It’s more like bullet resistant. Also, “bulletproof” is relative to the type of body armor and the bullets being shot at it. Something that many people don’t realize is that not all body armor has the same effectiveness. There are different levels of protection for stopping different types of bullets at different velocities. Body armor that’s strong enough to stop 9mm pistol rounds isn’t going to be enough to stop a 5.56 NATO round. Another thing to be aware of is you can still get hurt even while wearing body armor. Even though bullets won’t penetrate your body armor, they still inflict a huge impact on your body. People who’ve been shot while wearing body armor describe it as being hit with a baseball bat. This force is strong enough to leave a large bruise and sometimes even cracks the ribs of the wearer. Covert or Overt Body Armor? Before we get into whether or not you should prep body armor, let’s separate body armor into two categories: Covert and overt. Covert body armor is meant to be concealed. It’s usually not as strong as overt body armor, but it’s smaller and easier to wear under clothing. It’s good for people who aren’t guaranteed to engage in combat and need to basically look normal. Think of bodyguards as an example. Overt body armor is pretty conspicuous. It’s usually much stronger than covert body armor and can even block bullets from high powered rifles. The trade-off is that it’s bulkier and can be harder to move around in. It’s good for people who regularly engage in combat, like soldiers. Should You Wear Body Armor as a Prepper? So, should preppers wear body armor? And if so, which type is better for preppers? As a prepper, you should obviously avoid combat as much as possible. After all, combat puts your life at risk and you have no obligation to fight. Your only goal is to get you and your family to safety. However, even if you try to avoid combat, you might still be forced into that kind of situation…especially if you live in a city. Even if you do manage to avoid engaging in combat, there’s still the possibility of being hit by stray bullets from other people. That’s why I would recommend playing it safe and minimally investing in a body armor vest just in case. 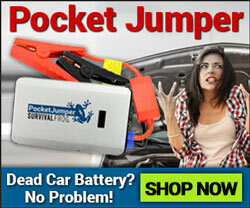 You can buy a good one for around $250, and it very well could save your life. The question then becomes: Which type is better…covert or overt? For preppers, I recommend going with covert body armor. First, it can be concealed. Staying under the radar is important in a SHTF situation. Covert body armor will protect you without identifying you as a target or a threat. The other reason is that heavy-duty overt body armor just isn’t necessary. If you’re avoiding combat like you should be, then there is no reason you would need so much protection. You won’t be taking hits from high-powered rifles. The most likely thing that would happen is getting clipped by stray pistol shots. If you live in a rural area, you can probably go without body armor. There are less people to deal with in rural areas, and those that do live there are fairly well prepared and self-sufficient already, so they won’t come after your gear. We don’t sell body armor here on Survival Frog. But if you want a quality body armor vest, I recommend checking out Safeguard Clothing. They have a good selection of body armor for you to choose from. You can choose whether you want covert or overt body armor and even customize the level of protection you want. I recommend getting a vest with level II ballistic protection and some stab protection. This will give you a good mix of stealth and protection for what you’re most likely to encounter in a SHTF scenario. This entry was posted in Emergency Survival, Self Defense, SHTF, Uncategorized and tagged body armor, bulletproof, guns, kevlar, shooting on December 29, 2017 by Survival Frog. For preppers, winter brings the added responsibility of figuring out how to heat the home. Whether you’re looking for tips to survive a crisis or just want to lower your energy bill, this article gives you some practical ways to make it through winter. The bigger the area, the harder it is to keep it warm. That’s why you can save a lot of energy by limiting the area you’re trying to keep warm to just your immediate living space. You probably have a room or two that are rarely, if ever, used. Close the vents in those rooms, close the door, and then put a towel at the base of the door. Once you stop heating it, more heat will flow to the rooms that really matter. This one’s obvious, but I’ll give you a few worthwhile tips. If you have a fireplace in your home, you have a big advantage when it comes to staying warm in a wintertime crisis. Hopefully, your stash of firewood will last long enough. But if you run out and it’s truly an emergency, start burning inexpensive wood items from around the house. Be careful not to burn any synthetic materials like foam or plastic because they release toxic fumes. If you’re out of wood and can’t use the fireplace anymore, it’s time to seal it up to prevent warm air from escaping. Most fireplaces have a damper that helps with this, but it can help to totally block the entrance. Doors aren’t always sealed very well and have a small gap at the bottom of the door. You might not even be able to see this gap, but it’s there and it’s letting warm air escape. The quick and easy way to fix this is to place a towel at the base of the door. This will plug the gap and keep your house nice and warm. The biggest loss of heat in a house comes from the windows. You don’t need expensive insulated windows to stop the heat from escaping if you don’t mind getting creative. You can buy do-it-yourself window insulation kits that come with plastic sheets and double-sided tape. They’re cheap and effective. You can also get the same effect with regular plastic wrap and tape, which will cost you next to nothing. If you have a hard floor like wood, laminate, or tile, you’re letting a lot of heat go to waste through your floor. Carpet doesn’t have this problem because it’s not solid and retains heat better. A quick fix for this is to cover up the hard floor with rugs, towels, and blankets. Plus, it feels warmer on your feet and is more comfortable to walk around on. A lot of times when we think we’re cold and need to turn the heat up, it’s actually just our fingers or toes that are cold. Fingers and toes are the first parts of our body to get cold. Our bodies consider them “expendable” and redirect the blood flow to more important things like organs when it gets cold. Instead of turning the heat up just to keep your fingers and toes warm, use hand warmers instead, preferably electric hand warmers which will last longer and there’s no recurring cost of replacement. If you use propane to heat your home, you’ll want to save as much of it as possible. You can save energy on heating by turning it down and dressing warmer instead. Wear thermal underwear to keep your legs warm, a wool sweater, and most importantly a hat because a lot of body heat escapes through the head. Your head is the only thing exposed when in bed at night, so wearing a hat to bed will keep you warm and allow you to turn the heat down even more at night. You can use the power of the sun to help heat your home during the daytime. Instead of keeping your curtains closed all the time, open them during the day. Even during winter, the sun provides a significant amount of heat. You might be giving up some privacy, but the extra few degrees of warmth will be worth it. Drinking a hot beverage will raise your body temperature. Tea, coffee, and hot chocolate are all good choices and feel great on a cold winter day. You should avoid drinking alcohol when it’s cold. The reason you feel warmer after drinking alcohol is because it brings blood to the surface of the skin. But this is superficial, and it actually lowers your core body temperature…not good! No, I’m not pulling your leg. Briefly standing under cold water will actually make you warmer…in the long run. The reason this works is because the cold water increases your circulation and promotes healthy blood flow. You should still end your shower with hot water so you aren’t freezing when you step out, though. Rocks can be used to make homemade portable heaters if you have a fireplace. Keep a pile of rocks nearby your fireplace for easy access. Put the rocks in the fireplace until they’re nice and hot, then remove them and put them on something that won’t catch fire, such as a baking sheet. Keep the rocks near you and they’ll act like primitive heaters. The gentle heat from these rocks feels really nice on a cold day. Put them in the fireplace again when they get cold and repeat the process. A word of caution: Don’t use rocks that have been submerged in water for a long time such as those from rivers, ponds, or lakes. These types of rocks might still have moisture trapped inside them, which could expand and explode when heated in the fireplace. The blades on ceiling fans are tilted, which makes them push air in one direction. If you reverse your fan it will push air the other way. Why is this important? Because heat rises and then escapes through the roof. Reversing the ceiling fan will push that hot air back down and keep your house warmer. If you have the heat on high but still feel like it’s cold inside, it might not be an insulation problem. Sometimes, the problem is as simple as something blocking airflow to a vent. If you have furniture in front of or on top of a vent, you should move it to the side so hot air can circulate through the house better. I know vents can be ugly and it’s tempting to cover them up, but you can worry about aesthetics after the wintertime crisis has passed. And you can put the money you saved on your energy bill towards something important, like your own bug-out location. 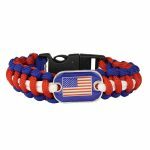 This entry was posted in Cold Weather Survival, Uncategorized, Winter Survival and tagged blizzard, cold weather, warm, winter on December 26, 2017 by Survival Frog. Nature provides us with many useful plants that have healing properties and other survival uses. However, many of these plants are considered weeds and people remove them from their lawns and gardens without considering their usefulness. A “weed” is simply a plant that is considered ugly and thrives in neglected lawns…but you’ll change your mind about this common backyard plant after discovering what it can do for you. Today, I’ll show you a common weed called “plantain” that grows all over the U.S. that has been used for survival for many centuries…even before the Americas were colonized. Don’t let the name confuse you. I’m not talking about those fruits that look like large bananas found in grocery stores. This plant grows nearly everywhere and can be found in most people’s lawns. If you keep your lawn in great condition, you’ve probably killed plenty of plantain before. There are over 200 species of plantain found all over the world. However, we’re only interested in the two most common species found in the U.S.
Two types of plantain grow here: broad leaf plantain and narrow leaf plantain. Both types of plantain can be used for safe and effective treatment. 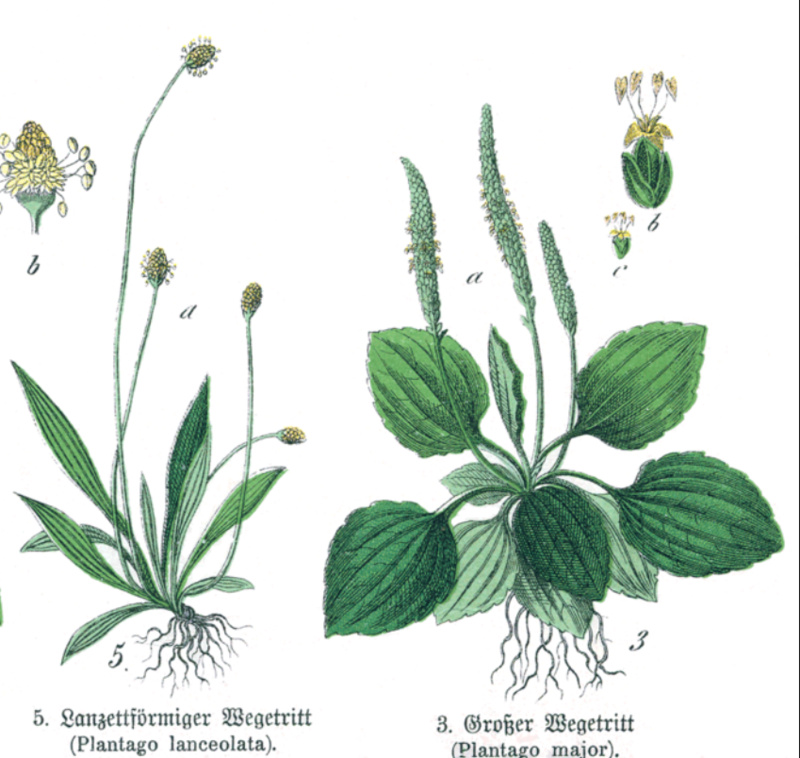 The plantain’s roots, leaves, flowers, and seeds can all be used for medicinal treatment. It can also be ingested or used topically. Broad leaf plantain’s scientific name is Plantago Major. They have broad leaves with three to five veins. The flowering part of the plant is long and narrow. An image of the broad leaf plantain is above on the right. Narrow leaf plantain’s scientific name is Plantago Lanceolata. Unlike the broad leaf plantain, they have long narrow leaves. The flowering part of the plant is shorter than those of the broad leaf plantain. Now that we’ve covered what the two common types of plantain are, let’s get into some real world uses for this helpful plant. In the event you’ve been bitten by a tick, snake, spider, or any other kind of venomous insect, you can use plantains as an anti-toxin and anti-venom. If you’ve been burned, one of the first steps is to apply aloe or some other burn cream to the damaged area. However, if neither of those are available, you can use plantain as a substitute. Plantain is a known herbal remedy for treating pneumonia and other respiratory problems like lung infections, allergies, and asthma. Plantain also helps stop bleeding, which makes it great for healing wounds. This natural “bandage” will slow blood loss and help your wound heal faster. Plantain is an anti-inflammatory and can be used to reduce the swelling from bites and stings. Its anti-inflammatory properties also make it good for those suffering from allergies. This is especially helpful to anyone allergic to bees. Plantain is also a natural antibiotic. Use it to disinfect wounds before wrapping them to prevent infections, or use it to help overcome a current infection. Once you’ve gathered some plantain, you can use it in the two most common ways for healing. A poultice is a layer of wet plant material that’s applied to the body and covered with a cloth. This is a good method for when you want to treat an open wound. The purpose is to get the healing benefits of the plant while the cloth keeps it in place. If you’re doing this in your home, you can just use a blender, but if it’s a SHTF situation, there’s a few other ways to make the poultice. You can crush the leaves between the palms of your hands and rub them back and forth, you can grind them between two rocks, or you can chew them up and spit them out…a bit gross, but when SHTF, you gotta make do. Then apply the plant material to the affected area and wrap it with a cloth or piece of clothing. Tea made from plantain also has healing benefits. Bring some water to a boil and then pour it over a mass of plantain leaves. Then strain the leaves out and drink the tea once it cools. You can even store the discarded leaves and use them in a poultice. As always when it comes to your health, check with your doctor before trying plantain. Any medications you are taking could conflict with the medicinal properties of plantain and be harmful to your health. This entry was posted in DIY Survival, Natural Remedies, Survival Hygiene, Uncategorized and tagged first aid, foraging, medicinal plants, medicine, natural remedies, plantains on December 25, 2017 by Survival Frog. Burns are one of the worst injuries you can have…especially during a crisis. They’re dangerous, scary, and extremely painful. Getting burned during a crisis can easily put your life at risk, but only if you don’t know how to treat them. If you think your odds of getting burned are too small, consider this. Burns aren’t just caused by fires. They’re also caused by electricity, chemicals, and the sun. Yes, even sunburns can be deadly if you’re exposed long enough. The good news is you can learn to treat your own burns if you don’t have access to medical help. Even some severe burns can be brought down to non-life-threatening levels if you know how to treat them. Here are some quick steps for what to do if you get burned in a crisis. Your first job after getting burned is to limit the damage. Immediately remove any clothes from the burnt area and run cold water over it. This removes harmful substances, eases the pain, and cools down the skin. Always use water to wash a burn. Contrary to popular belief, using something like butter, oil or grease will actually trap the heat and increase the pain even more. Even though you want the water to be cold, don’t apply ice directly. Ice is too cold and will restrict blood flow to the burnt area, which will slow down your body’s natural healing process. The next step is to get quick relief. Relieving the pain of the burn will lower your risk of going into shock and will keep you from panicking so you can think straight. 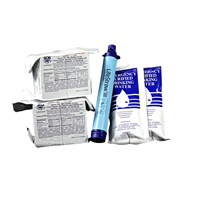 The best gel you can use is one that’s made to treat burns. Aloe vera is a good choice, though any burn gel or cream will work fine. You can also use honey if you don’t have any burn gel because it’s a natural disinfectant. A word of caution: when applying the gel to the burn, don’t rub it in. Rubbing it will disturb the wound and increase the damage. Just squeeze it onto the burn and leave it. Now that you’ve limited the damage and relieved some of the pain, you should feel reasonably calm. This is the time to look at the burn and assess the damage. Keep in mind that while they can appear gruesome, most burns aren’t deadly. Burns are classified differently based on how severe they are. Here’s a quick overview of each burn type so you can determine which type you have. 1st degree burns are minor burns that only affect the top layer of skin. The skin will turn red and there will be mild pain. A 1st degree burn won’t have any blisters. Applying some aloe vera to the burn will relieve the pain and allow you to recover faster. You can also apply essential oils to the burn to help the skin heal. Lavender works well. You can expect to heal quickly, usually within in a few days. The tell-tale sign of a 2nd degree burn is the formation of blisters on the burned area. The blisters may pop, which can lead to infection. Once the blister pops, you first need to remove the dead skin from around the blister. Wash the wound with soap and water if available. Apply antibiotic gel to the burn and wrap it with gauze. The gauze should be changed daily or whenever it gets wet or dirty, whichever comes first. If you’ve done everything correctly, the wound should heal in roughly three weeks, hopefully with minimal scarring. A 3rd degree burn is when the burn goes deep enough through the skin that it creates an open injury. The damage goes deep through the tissues and can affect muscles, nerves, and fat. The skin around the wound will turn white. Don’t be surprised if the burn doesn’t hurt that much. A 3rd degree burn can destroy the nerve cells of the burnt area and cause the area to feel numb. Treatment for 3rd degree burns is the same as the treatment for 2nd degree burns. The dead tissue will eventually turn black, and you’ll need to remove it to allow new skin to grow. Recovery time for a 3rd degree burn is a few months at the very least, and there will definitely be a scar after it heals. There’s no way to sugarcoat this. A 4th degree burn is extremely serious. There’s no real way to treat a 4th degree burn on your own. Without access to proper medical help, the victim of a 4th degree burn probably won’t survive. Hopefully, you won’t have to deal with burns, but now you’re a little more prepared if an accident happens. As usual, the best option is to prevent accidents from happening in the first place. Keep sunscreen in your bag to prevent sunburns, know the hazards associated with any chemicals you use, and don’t mess with broken electronics. Here’s a quick video with helpful images that explains the different burn classifications and treatment methods. This entry was posted in DIY Survival, Natural Remedies, Survival Hygiene, Uncategorized and tagged 2nd degree, 3rd degree, burns, burnt, first aid, medical, second degree, third degree on December 23, 2017 by Survival Frog.